Have you been looking for movers Tampa FL recommends based on the price of their moving service and their service quality? 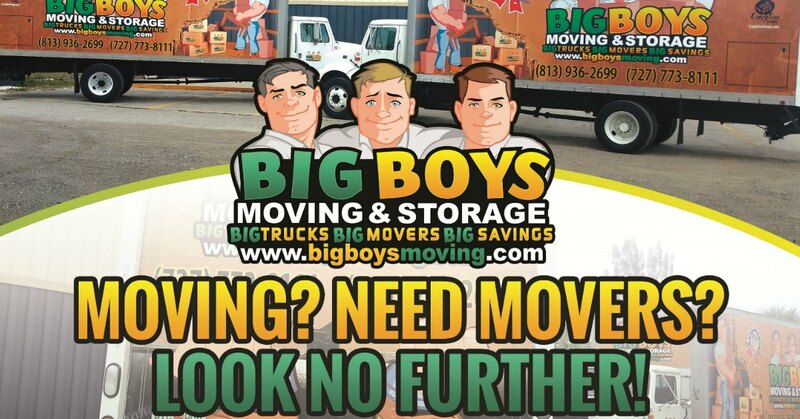 Then you’ve come to the right place because Big Boys Moving has been voted the best of Tampa for eight years running! Whether you are moving from one town over or one state over, the fact remains that you want to hire movers Tampa trusts. That would be us! Why does Tampa trust our company and why have they trusted us for eight years running? We are a family owned and operated company and we understand the importance of working with our customers to help make their move as smooth as possible. We offer commercial and residential moving services so no matter what you are moving, we can come to your aid! We offer packing services, loading services, unpacking services, and basic moving services so whether you want a full-service move or a labor only move, we can do it for you! We don’t shy away from moving big items like pianos! Let us save you the hassle and struggle of moving those huge furniture pieces! We don’t just move items for you, but we also offer storage options as well! Our moving prices are competitive and we also offer special discounts and coupons throughout the year as well! We even offer free moving boxes to make sure that you get everything packed safely and without overloading your boxes! Why should you hire professional movers to help you move? Couldn’t you just save more money by moving everything yourself? Sure, you could save money by moving yourself, but only if you plan to move everything yourself with a million and one trips in your family car! After paying for a moving truck and taking time off work to pack and move your own items, you’re not going to save anything at all when you look at our affordable moving rates! Plus, you save all that backache of moving your every belonging from one home to another! Want to see what all the fuss is about? 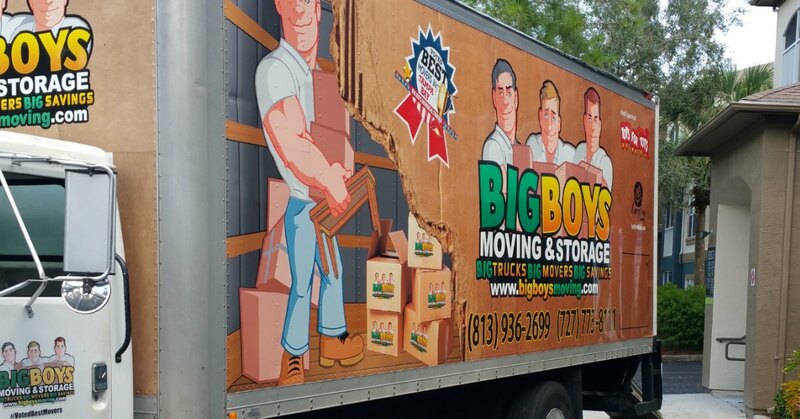 Find out why Tampa has voted us the best moving service in the area for nine years running! Give us a call at 813-936-2699 and we’ll get your move set up in no time at all.